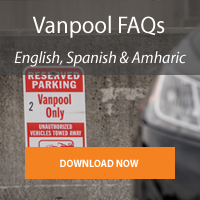 Commuting to or from Arlington, VA? We'll reach out to you in 1-3 business days to get your commute information and connect you with our rideshare partners. You'll be put in a region-wide database so our partners can find other people going your way on a similar work schedule. 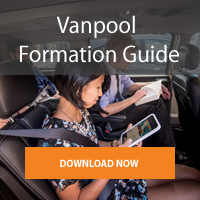 Once your van has at least 3 other riders, you and your van members will go over logistics amongst yourselves, HR and our team. We do the work for you by working with trusted rideshare companies - you just sit back and relax. 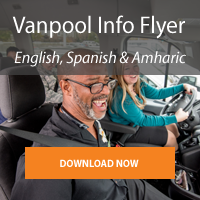 You receive a $50/month credit for your first six months as a new vanpool rider through Vanpool Connect. 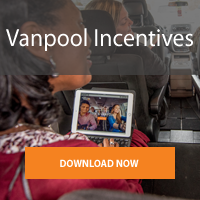 Use your transit benefit to cover the van costs and commute to work for free. If you're commuting to or from Arlington, VA, fill out the form and we'll reach out to you in 1-3 business days to get your starting and ending commuting addresses and work hours.